A budget bill passed in the Minnesota House of Representatives proposes a 3% raise for employees at Minnesota nursing homes. The bill addresses the $11.2 billion budget of general funds being appropriated for Health and Human Services programs. The omnibus bill, which passed in the House with a vote of 70 to 64, would reduce the overall HHS budget by $150 million over the next two years. Heavy debate was placed on this topic, with members of both parties fighting over whether the cuts are necessary or not. Although nursing home employees receive a pay raise in the proposed bill, opponents of the budget cuts, mainly Republicans, argue that they will affect the most vulnerable in the state, financially hurting Minnesota nursing homes and hospitals. Will Minnesota Nursing Homes Be Negatively Affected? House Majority Leader Erin Murphy claims the budget will save the state millions of dollars while also honoring their “commitment to the vulnerable”. The House and Senate began negotiations on the bill last Wednesday. The DFL party holds the majority in both sections of the Minnesota Legislature. They each passed bills with similar target numbers around $11.2 billion, but the contents of those appropriations were vastly different. 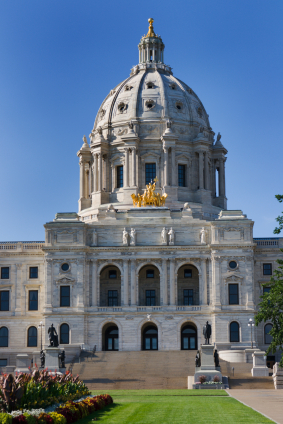 The House bill spends more money on the Statewide Health Improvement Program, while the Senate version spends more to reform the MinnesotaCare health insurance program. Need a quote for Long Term Care Insurance? Call us at 1-800-800-6139 or fill out our online form.